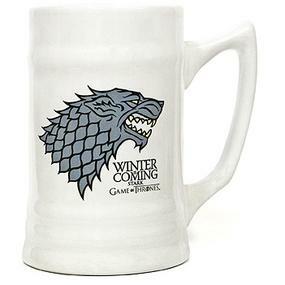 Game of Thrones Ceramic Stein:- Lannister | D.G.C. 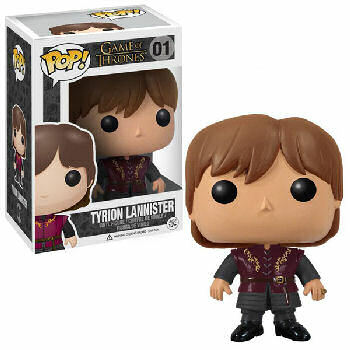 Lannisters ALWAYS pay their debts. 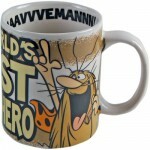 So why not join them in a drink with this gorgeous black stein mug. The Lannister emblem adorned on the black background looks stunning. Drop by Dead Good Comics today and pick one up. 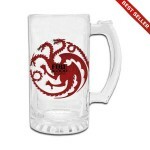 Come refresh yourself with a long drink from this Game of Thrones Lannister Sigil Ceramic Stein! 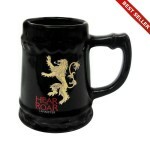 This quality stein is emblazoned with a golden lion with the words, “Hear me roar,” the coat of arms of House Lannister with the Lannister family motto. 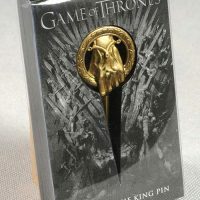 Makes a great gift for the fan of HBO’s Game of Thrones TV series and George R.R. Martin’s A Song of Ice and Fire books! Measures about 5 1/2-inches tall and holds up to 22 oz. of your favorite beverage.